The Pasco County Criminal Defense Division of the Law Firm of Whittel & Melton, LLC has over 50 years of collective experience defending the rights of those charged with all type of criminal offenses in Florida. The Pasco County Criminal Defense attorneys of Whittel & Melton are experienced in all Courts, whether they are Misdemeanor, Felony or Juvenile. 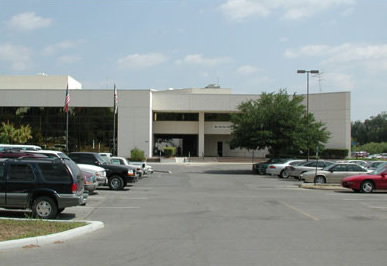 Our criminal defense practice includes representation of juvenile, misdemeanor and felony matters, in all State Courts. 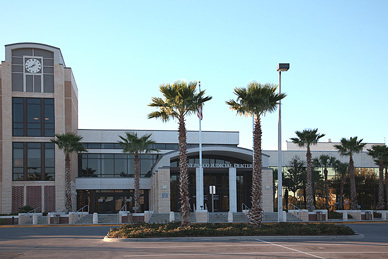 Pasco County is a unique jurisdiction in that criminal law matters are resolved in two separate courthouses in New Port Richey and Dade City. Our Pasco County Criminal Defense Lawyers understand that some cases involve awful fact patterns, but the individual has acted out of character and needs to find a resolution that will not become life defining. Other cases involve less negotiating with a prosecutor, and instead involve a very hard sharp look towards the law with a mind towards preparing and executing proper Motions to Dismiss or Motions to Suppress Evidence and effectively arguing before a Judge. To that end, our office in certain cases will conduct our own pre arrest investigation to counter or explain an ongoing police investigation. An effective Pasco County Criminal Defense will always involve close inspection of and proper demanding of discovery or State evidence throughout the case. Of course, our Pasco County Criminal lawyers keep an eye towards trial, so that all cases are ready for trial. The Law firm of Whittel & Melton, LLC invites you to call IMMEDIATELY! 1-866-608-5LAW(5529) There is never a better time like the present. Do not delay and allow your rights to go unenforced! Our Pasco County, Florida Attorneys understand how important it is for early and effective intervention when you are alleged to be involved in a criminal offense. Call today for the New Port Richey/ Dade City Pasco County Criminal Defense Attorneys at Whittel & Melton TODAY to help with your criminal charges! CAUTION – WARNING – We do NOT advise any existing Pasco County Criminal Defense clients to contact any of the below State or Government Agencies. The below information, is only information, nothing more. Any and all legal issues related to your Pasco County Criminal Defense case, both New Port Richey and Dade City, MUST be discussed with our attorneys and investigators and ONLY our office until and unless counseled otherwise. The Pasco County Criminal Defense lawyers at Whittel & Melton believe that an aggressive representation of a New Port Richey or Dade City, Pasco County, Florida criminal charge include keeping our accused clients informed. The best place to begin, after speaking with our office first, is with a look at what information is already in the public domain. Below are some Pasco County web pages that may be useful in your Pasco County Criminal Defense Representation. Pasco County was established in 1887 and the county seat is Dade City, Florida. The estimated population is 345,000 and the estimated size of Pasco County is 745 square miles.